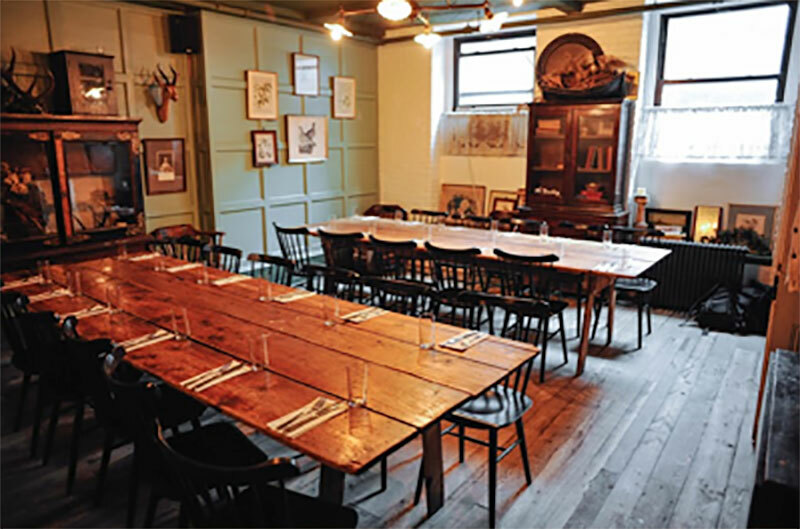 Have your next NYC meal in an unusual spot. Having a meal with friends is always fun, but having that meal in an unusual location adds another element. Lunch or dinner in a department store, a train station, a hidden bar or a museum makes it memorable and unique. New York City has many such restaurants and in case you aren’t aware of some of them, I thought I’d put together a list that my friends have recommended. Department store restaurants used to be glorified soda ‘shoppes’. You could get tea and a sandwich, or a milkshake and regroup to sally forth again into the crowds to shop. These days, NYC department stores have restaurants that are as chic and sophisticated as the stores themselves. Bergdorf’s restaurant, BG, is on the 7th floor of the Bergdorf Goodman department store at 754 5th Ave (at 57th street). It serves lunch, tea and early supper or cocktails. The menu is wonderful and the food is delicious. There are sweeping views of Central Park. Reservations are a must through Open Table or you can call directly. The restaurant is also available for private parties. Freds at Barneys department store is open for lunch, dinner and cocktails, and serves brunch on the weekends. Freds is at both Barney’s locations in NYC – 660 Madison Ave (at 61st street) and Freds Downtown at 101 Seventh Ave. on the 3rd floor. It was the idea of Fred Pressman, the son of Barney’s founder Barney Pressman. It is described as a ‘modern day bistro’. It is also available for private parties and catering. Reservations can be made through Open Table. While not a department store, the Armani store offers Armani Ristorante at 717 5th Ave (at 56th Street). The food is great and the setting is modern Italian design. It is open for lunch and dinner Monday -Saturday and brunch on Sundays. Reservations can be made through Open Table. Museum restaurants have always been a wonderful sanctuary for weary culture mavens but now many have become a destination in their own right. 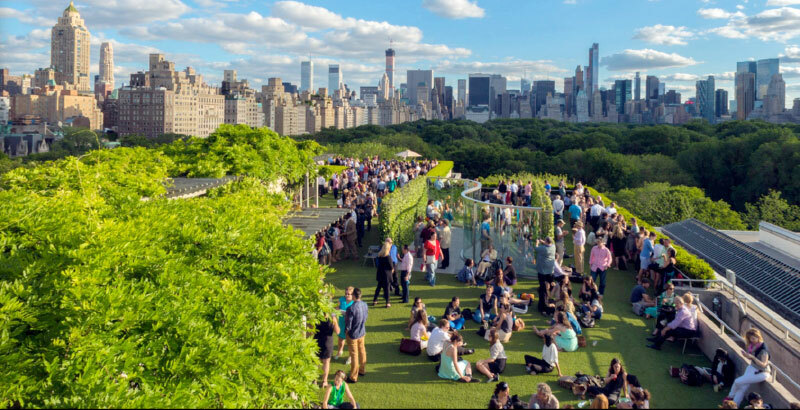 The Metropolitan Museum of Art at 1000 5th Ave (at 81st street) has several eating venues but the most special is the Cantor Rooftop, open in spring, summer and fall. It is great for sandwiches, cocktails and unbelievable views of the city and Central Park. There is a sculpture garden. It is open from 11 AM to 5 PM Sunday – Thursday and 11AM until 8:15PM Fridays and Saturdays during the nice seasons. 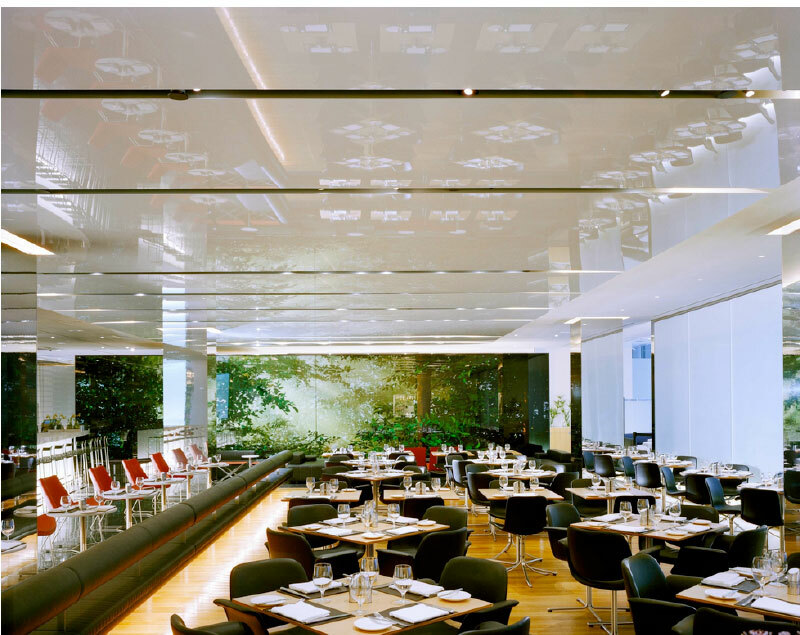 The Modern at MOMA is run by Danny Meyer’s Union Square Hospitality Group. 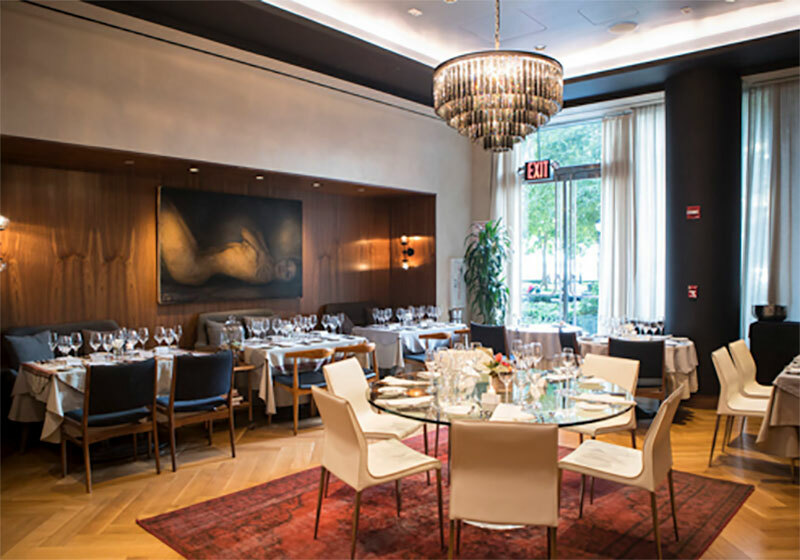 It offers contemporary American food, has two Michelin stars and three stars from The New York Times. 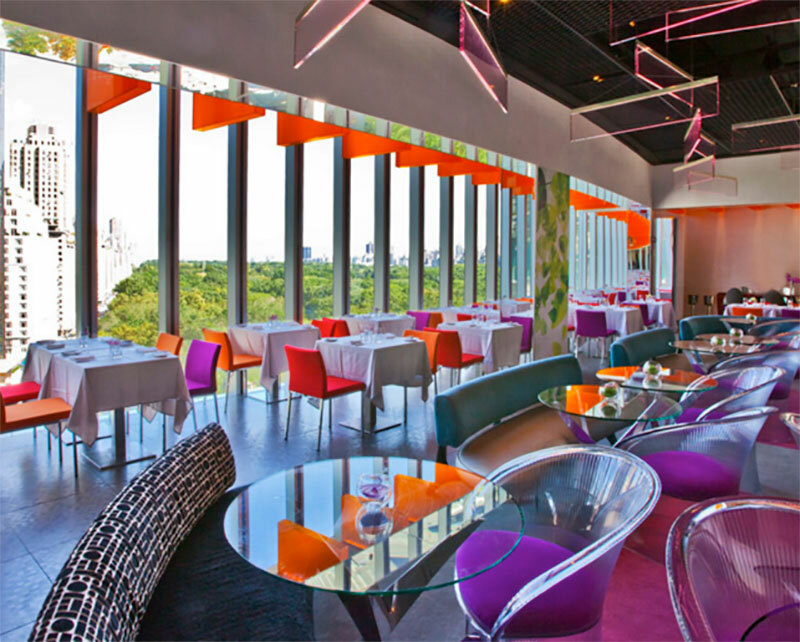 It overlooks the sculpture garden and is open for lunch and dinner Monday – Saturday. MoMA is conveniently near Rockefeller Center and Radio City Music Hall. There is also The Bar Room which is adjacent to The Modern. It serves seasonal contemporary cooking. Reservations through Open Table. 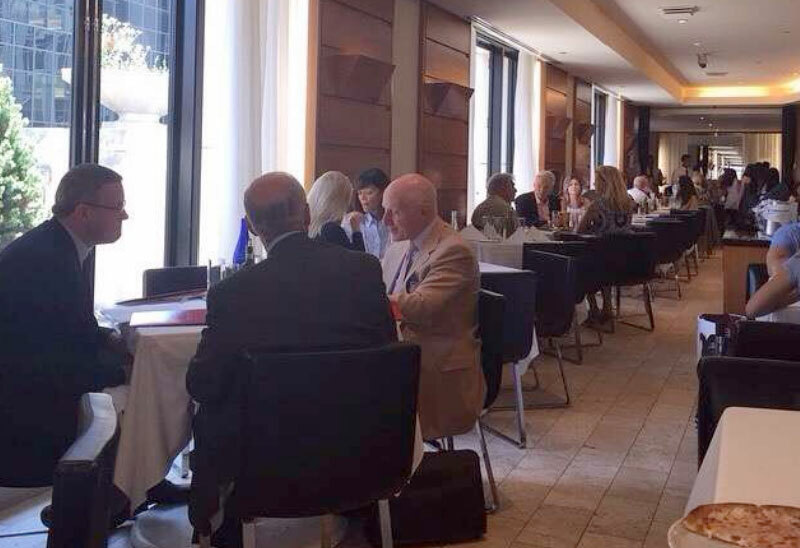 Robert Restaurant at the Museum of Arts and Design is at 2 Columbus Circle. It is a ‘classic modern American restaurant’. It’s small and has great views of Central Park and Columbus Circle. It is open for lunch and dinner Monday – Friday, and brunch and dinner Saturday and Sunday. Reservations from Open Table. Converted by Financier John Campbell into his office and reception hall in 1923, the Campbell Bar is inside Grand Central Station. It is beautiful, with 25-foot hand-painted ceilings and a stone fireplace. It is open from 12 noon to 2 a.m. They serve lunch and light bar food. 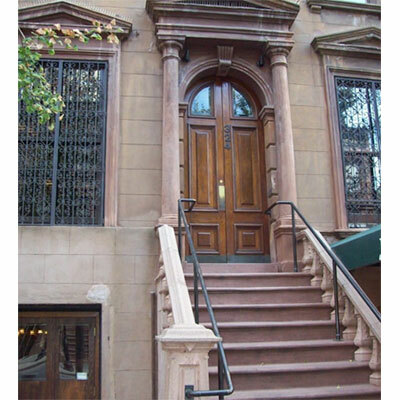 The easiest way to get to it is to enter at 15 Vanderbilt Ave. Reservations are suggested. Gaonnuri is an upscale Korean restaurant at 1250 Broadway between 31st Street and 32nd street. It is a surprise on the top floor of a nondescript office building. It has panoramic views of New York City. It is open for lunch and dinner Monday – Friday, and dinner only Saturday and Sunday. Reservations through Open Table. L’Appart is a French restaurant with 8 tables. It is Michelin-starred, in the Battery Park’s market called Le District. It has a tasting menu that changes with seasonal availability. The room is meant to suggest a chef’s apartment where you are a dinner guest. It’s at 225 Liberty Street. They are open for dinner only Tuesday – Saturday 5:30PM – 9:30PM. Reservations are by email or telephone. Freeman’s is hidden in an unused alley off the Bowery. It is a cozy old-fashioned American tavern and serves simple American food. 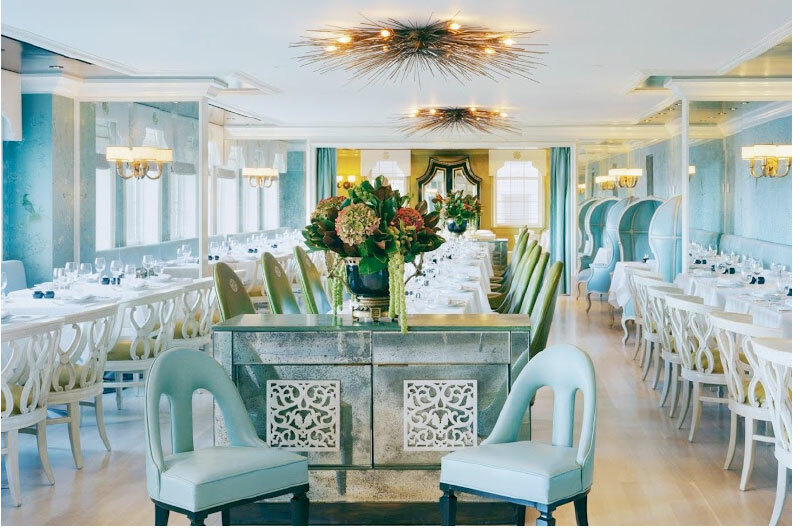 Serves lunch Monday – Friday, dinner seven nights a week and brunch on Saturday and Sunday. Freeman’s Alley is off Rivington Street between Chrystie and the Bowery on the Lower East Side of Manhattan. Reservations are recommended. 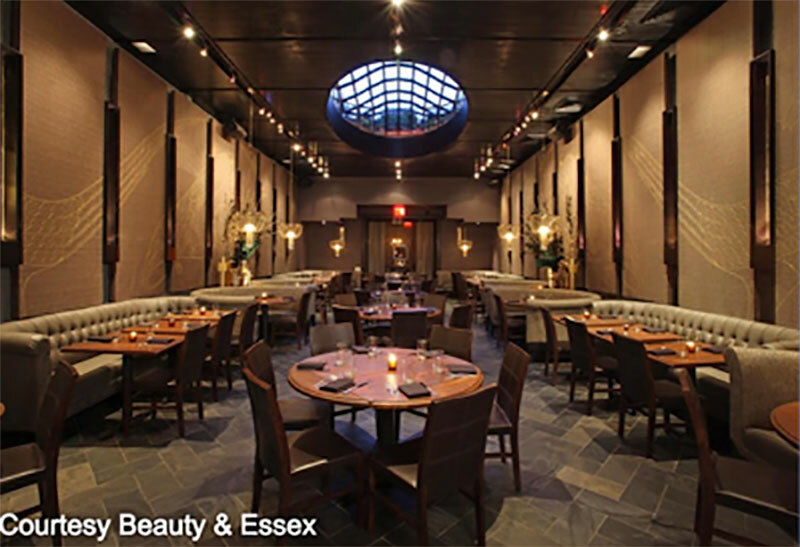 Beauty & Essex is at 146 Essex St., hidden behind an active pawn shop. Enter through the pawnshop and find a large dining room, bar and lounge that add up to 10,000 square feet. It is open for dinner every night of the week. They also serve brunch Saturday and Sunday. It is available for private parties, and has a parking lot nearby. The food is contemporary American, and there is often music in the lounge. Reservations are encouraged to be made 30 days in advance. Free champagne while you wait for a table. Enjoyed this article. The museums have come a long way from the cold sandwiches and iceberg lettuce salads that used to be the only option for lunch without leaving the museums. The same holds so true for department stores. Nordstrom’s here in Columbus has a wonderful bistro that is a destination place for my friends and myself. Thanks for this great article.